Pre-Order Amazing HP Laptop Deals at QVC Now! I don’t know if you can hear my excitement about Black Friday, as we inch closer to the funnest day of the year or not but I sure hope you can! But I am excited to let you know that Black Friday deals are coming early this year at QVC and there are some AMAZING HP Laptop deals at QVC! Now this is one of those awesome deals that you can snag right from your couch (or your bed, I won’t judge where you do your shopping from!) 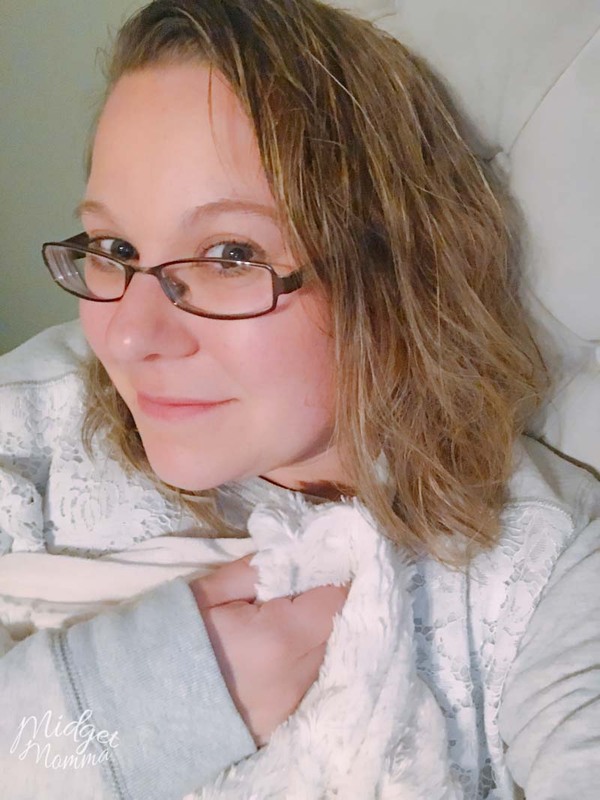 I am totally doing some shopping from my bed and wrapped up in my favorite blanket! Today (November 17th) through November 24 you will be able to snag an amazing deal and preorder two different sized HP Laptops powered by Intel® OptaneTM Memory! Plus you will get 6 months with no interest for payment and FREE shipping! If you have been wanting a new laptop, now is the time to treat yourself to an HP PC featuring Intel® OptaneTM Memory! It learns your habits and uses storage acceleration, so you can do more – how awesome is that!?!? 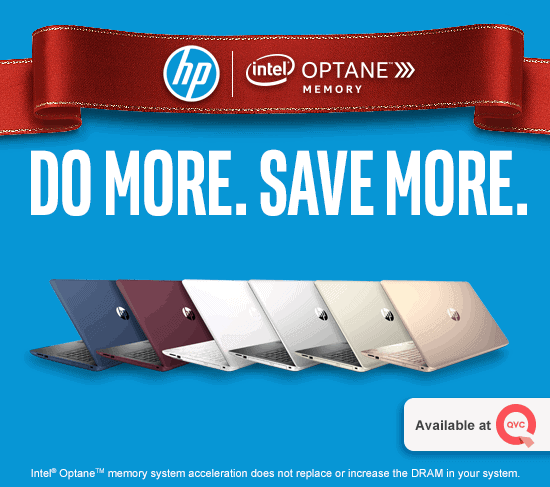 What makes an HP Laptop powered by Intel® OptaneTM Memory Awesome? First, you get to pick from some AMAZING colors! Pick from Natural Silver, Pale Gold, Twilight Blue, Maroon Burgundy, QVC exclusive colors: Iridescent Rose Gold, or Iridescent White! They have short boot times, fast app launches, and responsive performance that make you wait less and do more with your HP PC and Intel® OptaneTM memory that adapt to the way you use your notebook for an incredible personalized experience! 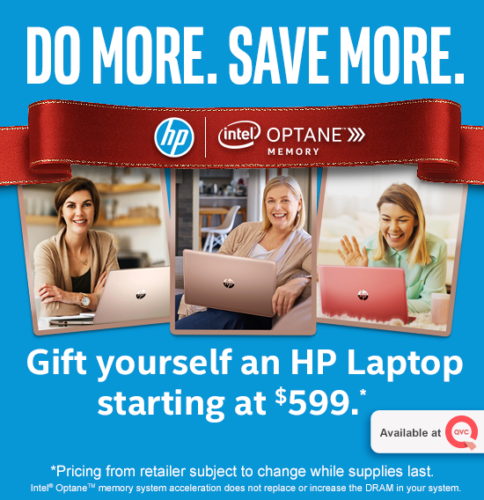 Head on over here, to pre-order your HP Laptop powered by Intel® OptaneTM Memory QVC.com 11/17-24, and be sure to watch the QVC Live event on November 24th for this great deal before it sells out! Disclaimer: This post is sponsored by Mirum and QVC. All opinions are 100% my own!